DEAR JERRY: Your column on major rock artists of the 1950s and '60s being ignored by the Grammy Awards has me wondering how many top acts from those days did buck the odds and win a Grammy? For example, what about the Beatles? --William Mansfield, Madison, Wisc. 1967: It seems a bit redundant, but “Sgt. Pepper's Lonely Hearts Club Band” won in two very similar categories: Album of the Year, and Best Contemporary Album. Among that era's top performers not named Beatles, here are some familiar stars you might think won at least once back then, but did not: Paul Anka; Beach Boys; Chuck Berry; Pat Boone; Dave Clark Five; Sam Cooke; Neil Diamond; Fats Domino; Drifters; Everly Brothers; 4 Seasons; Connie Francis; Marvin Gaye; Brenda Lee; Jerry Lee Lewis; Little Richard; Dean Martin; Miracles; Monkees; Rick Nelson; Roy Orbison; Platters; Righteous Brothers; Rolling Stones; Supremes; and Jackie Wilson. 1980 Best Country Performance Duo Or Group: “That Lovin' You Feelin' Again,” with Emmylou Harris. 1986 for Best Spoken Word Or Non-Musical Recording: “Interviews from the Class of '55 Recording Sessions,” with Carl Perkins, Jerry Lee Lewis, Johnny Cash, Rick Nelson, Sam Phillips, and Chips Moman. 1988 for Best Country Vocal Collaboration: “Crying,” with k.d. lang. 1989 for Best Rock Performance By a Duo Or Group with Vocal: “Traveling Wilburys Volume One,” with George Harrison, Jeff Lynne, Bob Dylan, and Tom Petty, collectively the Traveling Wilburys. 1990 for Best Pop Vocal Performance (Male): “Oh, Pretty Woman” (from the 1987 televised concert, “A Black & White Night”). Likewise, the Beach Boys did not win but Brian Wilson did, in 2004 for Best Rock Instrumental Performance: “Mrs. O'Leary's Cow,” from the “Brian Wilson Presents Smile” album. Fortunately, some on our neglected list were eventually honored in a catch all category, and presented a Lifetime Achievement Award: Chuck Berry (1984); Rolling Stones (1986); Fats Domino (1987); Little Richard (1993); Everly Brothers (1997); Sam Cooke (1999); Beach Boys (2001); Jerry Lee Lewis (2005); Dean Martin (2009); and Brenda Lee (2009). Okay, great, but WTF? Where's Connie Francis? Obviously, Connie and some other very deserving performers have yet to be honored by The Recording Academy, especially: Paul Anka; Drifters (Featuring Clyde McPhatter and Ben. E. King); 4 Seasons (Featuring Frankie Valli); Platters (Featuring Tony Williams); Righteous Brothers; Supremes (Featuring Diana Ross); and Jackie Wilson. It's too late to modify dreadful choices made in the 1950s and '60s, but whether or not to atone with Lifetime Achievement Awards for some of our true legends is clearly a no-brainer. Just do it! Not until 1983 -- a total of 23 years of Grammy Award Presentations -- was the Record of the Year enough of a Top 40 R&R sound to be considered too “hard” for the softer Adult Contemporary, Easy Listening, Middle-of-the-Road, and Jazz formats. 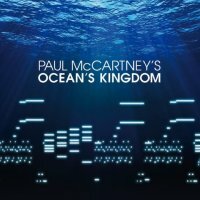 Paul McCartney has collaborated with The New York City Ballet for the premiere of his orchestral work called 'Ocean's Kingdom' on September 22 with the release of the score scheduled for release on October 4 via McCartney's US label Hear Music. The album will contain the music for the ballet, as performed by the London Classical Orchestra conducted by John Wilson. The ballet also features costumes designed by Stella McCartney. JAMES will be releasing their box set on October 17th 2011. Called 'The Gathering Sound,' it is a limited edition deluxe box set that covers the band's career to date and includes three CDs, a DVD, a 12' vinyl record and a unique j-shaped USB stick. The 8GB USB stick includes James' eleven studio albums and non-album best of tracks in 16 bit FLAC and 320 kbps MP3 formats plus the videos for the singles. The heavyweight 180gm 12' black vinyl has four previously unreleased demos from the Gold Mother era. These are all in a 12' gatefold sleeve that houses the vinyl, the CDs and DVD, a 16 page A5 booklet (featuring personal contributions from each of the band plus contributions from Gordon Strachan, Peter Kay, Bernard Butler, Richard Reed Parry from Arcade Fire and Brian Eno), a 44 page 12'x 12' scrapbook with previously unseen and rare photos, memorabilia, cuttings and many other items straight out of JAMES personal archives. Also included is a complete timeline of JAMES' career annotated by the band, plus four art-cards, four button badges and four sticky satin replica backstage passes. The three CDs feature an album of live rarities, one of studio rarities and one combining the recent, critically-acclaimed The Morning After and The Night Before albums and the DVD features Come Home Live, the show from the Manchester GMEX on DVD for the very first time. 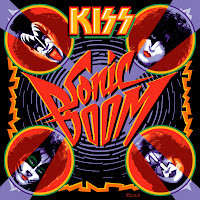 The best Kiss album covers demonstrate how important visuals have always been to the band's image. Whether they're casting the group as larger-than-life icons in otherworldly settings, or conveying the excitement of the band's explosive live shows, these covers serve as an important introduction to the music inside each record. Jerry Leiber wasn't the most artful lyricist in U.S. music history, but he certainly was among the most visionary and authentic. Leiber, who died on Monday in Los Angeles at age 78, was rock 'n' roll's first major wordsmith. With an ear for R&B and urban youth culture of the early and mid-1950s, Leiber had the good sense to keep his stories simple and quirky. He wasn't either of those two things, of course, but he was shrewd enough to know that R&B and rock 'n' roll were about singles, and that singles were about the beat and the passion and charisma of the artists who recorded them. Even if you’re a massive rhythm and blues fan with stacks of soul-infused CDs and vinyl cluttering up your living quarters, there’s a good chance you’ve never heard of Little Willie John. Your collection is apt to be made up of discs by the likes of Sam Cooke, Clyde McPhatter, Otis Redding, and James Brown, with perhaps some Arthur Alexander thrown into the mix, and maybe a few eclectic choices like Chuck Willis, the Clovers, and Roy Brown to round out matters. But trust me, if you don’t have any Willie John, your record collection is sorely lacking. 5. Flaming Lips w/ Lightning Bolt - I'm Working At NASA On Acid 12"
17. Paperhead - Yellow Book 7"
In 1959, the Browns, who were Jim Brown and his sisters Maxine and Bonnie, had the top tune in the US with "The Three Bells". The record is an English version of a French song originally titled "Les Trois Cloches", written in 1945. In 1963, after a couple of flop singles for smaller record companies, the Ronettes scored their only Top Ten hit with their first effort for Phil Spector, "Be My Baby". 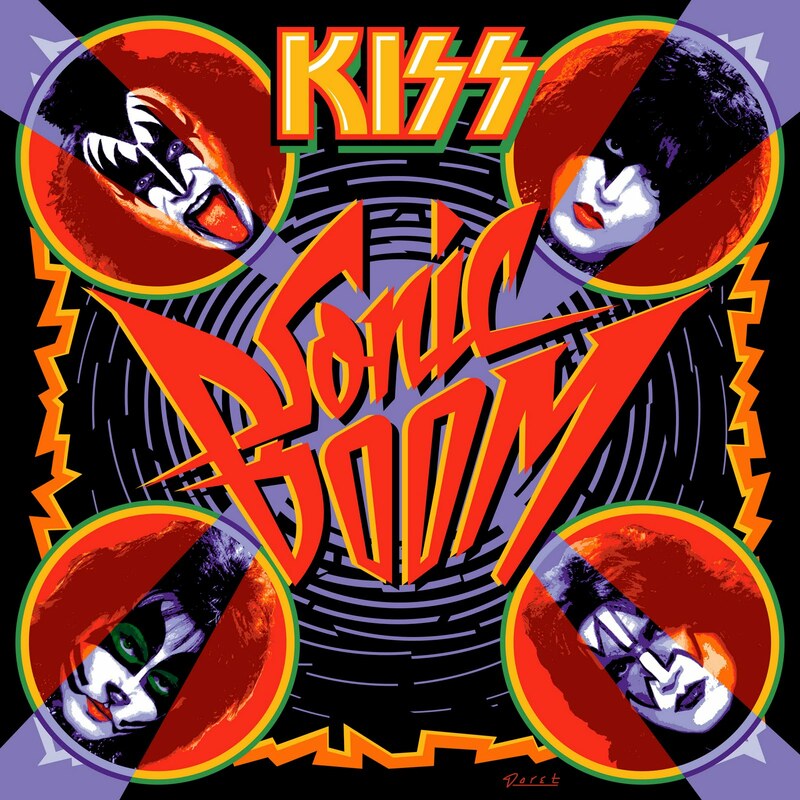 None of their other records, including "Baby I Love You", "The Best Part of Breaking Up", "Walking In the Rain" and "Is This What I Get for Loving You?" could crack the US Top 20. In 1966, the Doors started recording their first album at Sunset Sound Recording Studios, West Sunset Boulevard, Los Angeles, California. Also in 1966, the Youngbloods record their biggest hit, "Get Together". The single, which would be included on their self-titled album released in 1967, stalled at number 62 at the time, but would be re-issued in 1969 and made the US top 5 the second time around. Bruce Springsteen joined a group called Earth in 1967. In 1968, Keith Moon celebrated his birthday by driving a car into the pool at the Holiday Inn in Flint, MI. In 1969, John Lennon writes "Cold Turkey", a song about kicking his heroin addiction. He rehearsed the song all afternoon and recorded it that evening with the help of Ringo Starr and Klaus Voorman. When it was released, critics hated it and the BBC refused to play it, yet somehow it still made the UK Top 20 and the US Top 30. The movie 'Alice's Restaurant,' starring Arlo Guthrie, opened in 1969. In 1974, Traffic performed together for the last time at the Reading Festival in England. In 1975, Queen started recording “Bohemian Rhapsody” at Rockfield studio’s in Monmouth, Wales – the song was recorded over three weeks). Freddie Mercury had mentally prepared the song beforehand and directed the band throughout the sessions. Brian May, Mercury and Roger Taylor sang their vocal parts continually for 10 to 12 hours a day, resulting in 180 separate overdubs. "Take This Job and Shove It" was recorded by Johnny Paycheck in 1977. In 1979, the Cars play before an estimated 500,000 in New York's Central Park. Also in 1979, B.B. King celebrated 30 years in show business by playing the Roxy in Los Angeles. In 1981, John Lennon's killer, Mark David Chapman was sentenced to at least 20 years in prison. The 25 year old coward had shot Lennon five times at close range on December 8th, 1980 in front of The Dakota apartment building in New York City. Over the next few months, Chapman would claim many times to have been beaten by fellow inmates, some of whom allegedly tried to kill him. Chapman would be denied parole at his first six hearings in October 2000, October 2002, October 2004, October 2006, August 2008 and September 2010. In 1989, The Who perform "Tommy" at the Universal Amphitheatre with special guests Steve Winwood, Elton John, Phil Collins, Patti LaBelle and Billy Idol. In 1990, Judas Priest successfully defended themselves against a lawsuit, after two fans attempted suicide while listening to the Stained Class album. Both fans eventually died, one immediately from a shotgun blast, and the other on a second attempt three years later by a methadone overdose. The prosecution claimed that there were subliminal messages in the group’s music that caused the two 17-year-olds to carry out the suicide pact in 1985. In 1995, Microsoft's Windows 95 was released using a commercial featuring The Rolling Stones song "Start Me Up" (a reference to the Start button). Microsoft paid Mick Jagger and Keith Richards twelve million pounds for the use of the song, which Microsoft detractors were quick to point out, contains the lyrics "you make a grown man cry." In 1996, "Missing" by an English duo called Everything But The Girl, breaks the all-time chart stay record previously held by The Four Seasons' "December, 1963 (Oh What A Night)", when it appears on the Billboard chart for the 55th week. Christina Aguilera's self-titled debut album was released in 1999. In 2009, The Los Angeles County Coroner ruled Michael Jackson's death a homicide caused by a mix of drugs meant to treat insomnia. On February 8, 2010, Dr. Conrad Murray was charged with involuntary manslaughter by prosecutors in Los Angeles. Dr. Murray pleaded not guilty and was released after posting $75,000 bail. His trial is scheduled to begin September 8th, 2011.